Early stage companies tend to have more to do than worry about who sits where. With only a handful of employees, assigning employees seats isn’t much of a headache. However as your headcount grows, it’s important to have a plan in place to accommodate new employees. Plus, it starts to matter who sits next to whom. if sales is taking calls right next to focused engineers, collaboration and productivity risk taking a real hit. How can you set your office up for success? We spoke with Ben Steen, Namely’s Senior Manager of Workplace & Facilities, to learn best practices for implementing and scaling an office seating plan. As a small company, you may not need a seating plan early on. So when do you need one? According to Ben, “once your company expands to more than one floor or hits the 150 employee mark, you’ll need some sort of shareable floor plan.” As you reach each employee headcount threshold, you need a solution that helps build continuity, increases engagement and improve employee experience. Bonus points if you can easily share the plan through your HRIS platform. Different functions of the business have different needs, and this becomes especially important as you scale. “Keep in mind the furniture needs of different departments,” Ben cautions. Sales and customer service reps may need phones, while designers and engineers will likely need a second monitor. 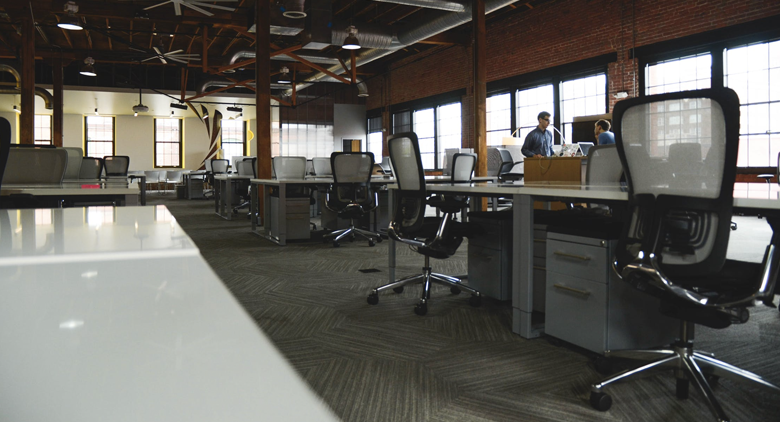 If you have one salesperson, noise may be less of a concern, but as the sales team grows, they will need an area that offers some level of noise mitigation—whether it be through exposed ducting or utilizing white noise. Similarly, teams that handle confidential information should be in an area where their computers face a wall. A huge advantage of technology is shareability. Whether your office seating plan takes the form of a spreadsheet, PDF, or interactive software, make sure up-to-date floor plans are easily accessible to any person in the company. In an ideal situation, any employee should be able to see exactly who sits at a certain desk, find conference rooms, and even get information about other office branches. “Build growth into the current floor plan,” suggests Ben. If a department is currently 30 employees, but planning to grow their team by 10 in the next six months, factor this into the space allotted to this department. Work with your FP&A team to gauge how much you’ll grow, so that you can let this shape your seating chart for the year. It’s no secret that the bigger you grow, the more seating you need. According to Ben, “a lot of companies are moving to ‘hotel model’ of seating, in order to accommodate their workforce.” This model encourages employees to work from home two days a week, and sign up for a desk the day before you plan on coming into the office. This helps cut down on real estate and saves employers a lot of money. Ben advises, “have a good relationship with an architect or designer to help you plan the layout of future spaces as you expand.” This will help unify your work environment no matter your company size. Before new employees find their seat, it’s time for onboarding. Here are all of the critical documents you’ll need to make day one a breeze.